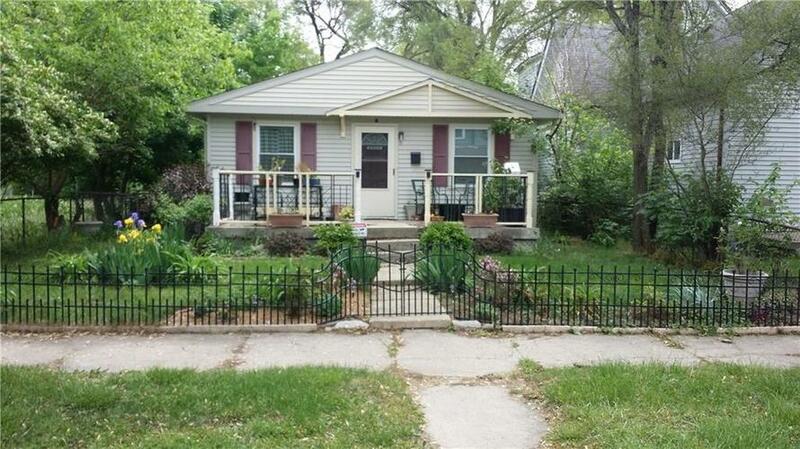 Adorable move in ready 3 bedroom home in a peaceful setting just a few blocks from the Monon Trail and surrounded by other beautiful homes, yet accessible to all amenities and only 2 miles from downtown. This home could also be a savvy investment as a rental property, or you can build an addition as other owners have done. Either way you will create instant equity in this extremely high appreciating area. Many updates include; Large combo kitchen featuring stainless appliances and new flooring. Large living room leading to three nice size bedrooms with original hardwood floors. Updates include electrical, plumbing, HVAC, water heater, blown insulation in exterior walls and attic, gutter guards, and a 5 year old roof. This is a MUST SEE!